It was time to explore the other end of the island. 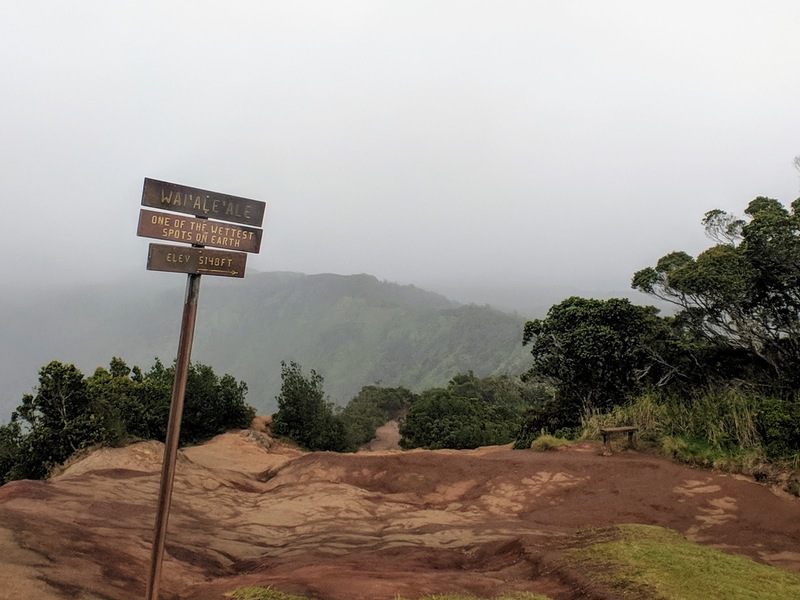 Our first planned stop was on Hanapepe Valley Lookout but we realized too late that it was just a notch in the road and there was not really a designated parking to stop there. We parked a little further down the road to see if we can walk back but decided it was too dangerous to walk along the highway towards the lookout and it was too cloudy/drizzly to see it. 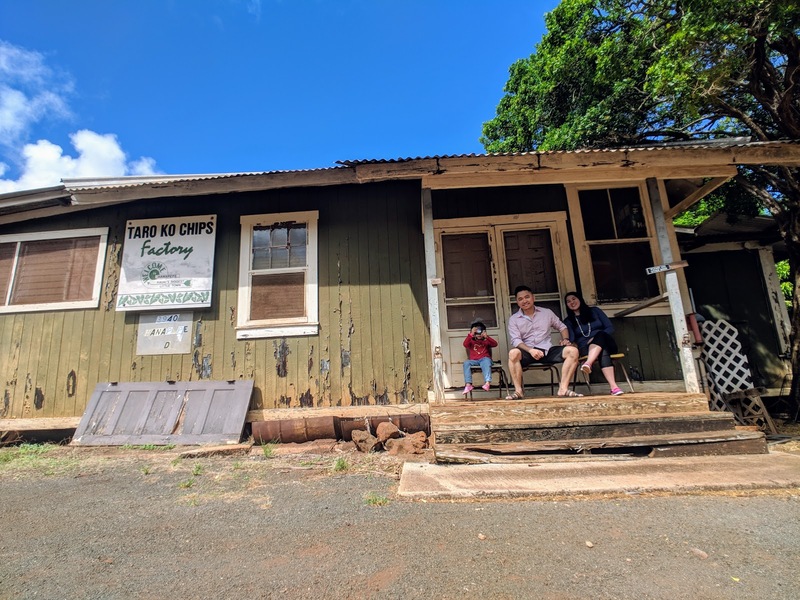 Most of the stores were still closed when we arrived including a Taro chip making factory which looked more abandoned than closed. 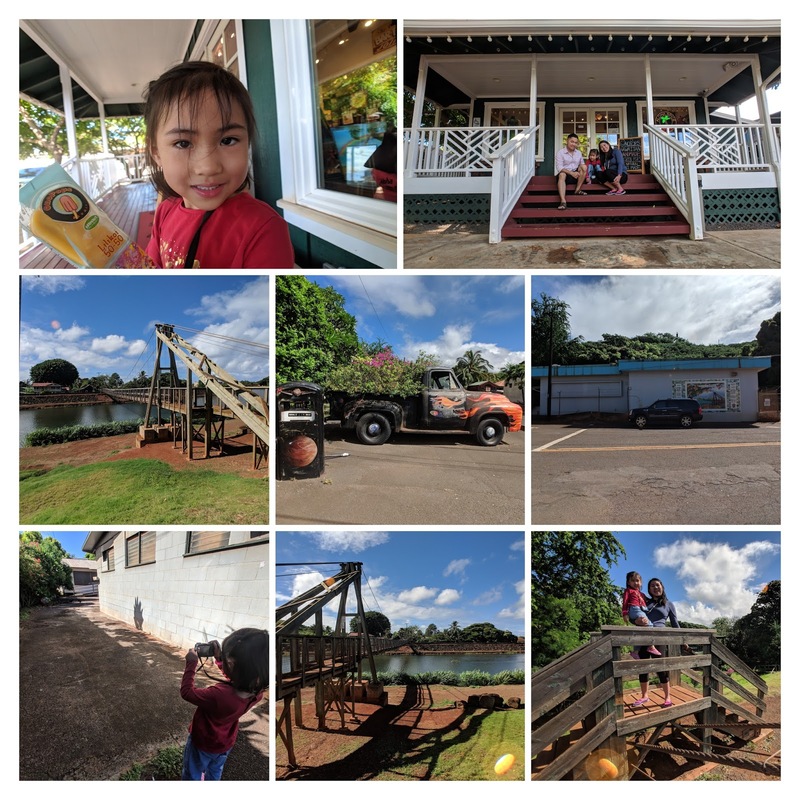 After which, we looked around the area where we had lilikoi (passion fruit) ice pop at Aloha Spice Company and hoped to get some taro chips to no avail. 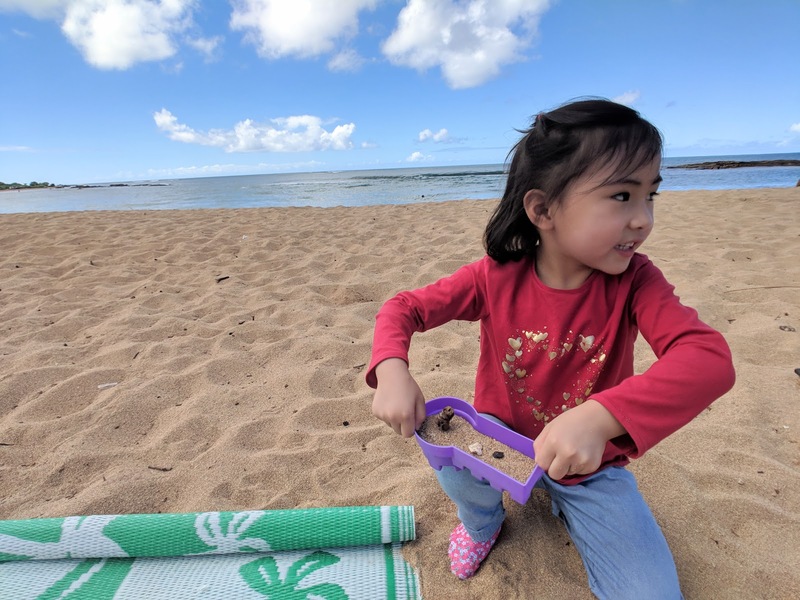 Next, we went to Salt Pond Beach which is totally different from what I expected from its name. I do not know if we were in the right place as we did not see any blocks of salt nor any salt ponds whatsoever but it is a nice quiet lifeguarded swimming where people can go camping. This would have been convenient to know given since Lily was begging to go to the beach all morning. Unfortunately, since I did not anticipate any swimming on this side of the island, I did not bring any clothes for it. Fortunately, someone left some sand toys in the beach for Lily to play with. For lunch, we had Chicken and Barrel. Topeng compared it to the Chuy's barbecue we have in Tucson but I think their BBQ sauce is more pineapple-y I guess. 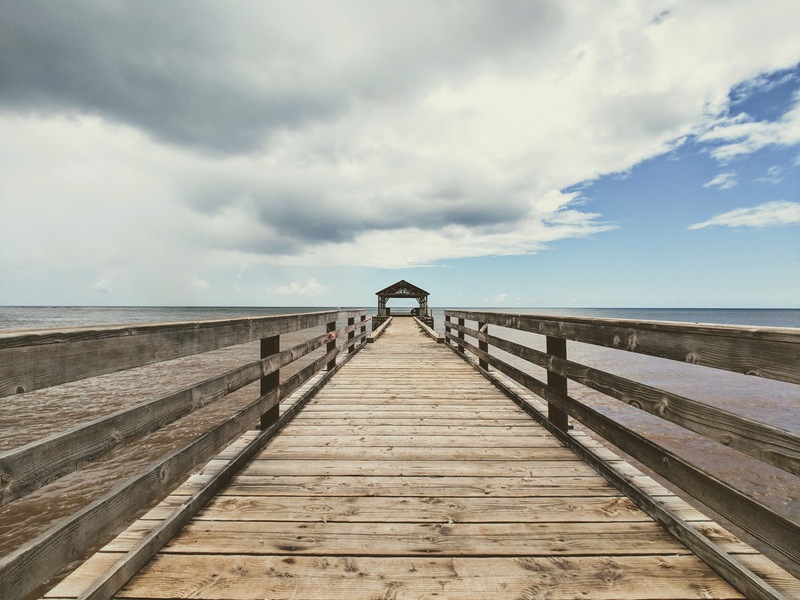 We headed back to town for some shaved ice and while finding a place to park, we saw the Waimea State Recreation Pier which was really nice for some quick photo opportunity. Walking to the shave ice place, Lily saw some street art and wanted to take some pictures of them. So snap we did. 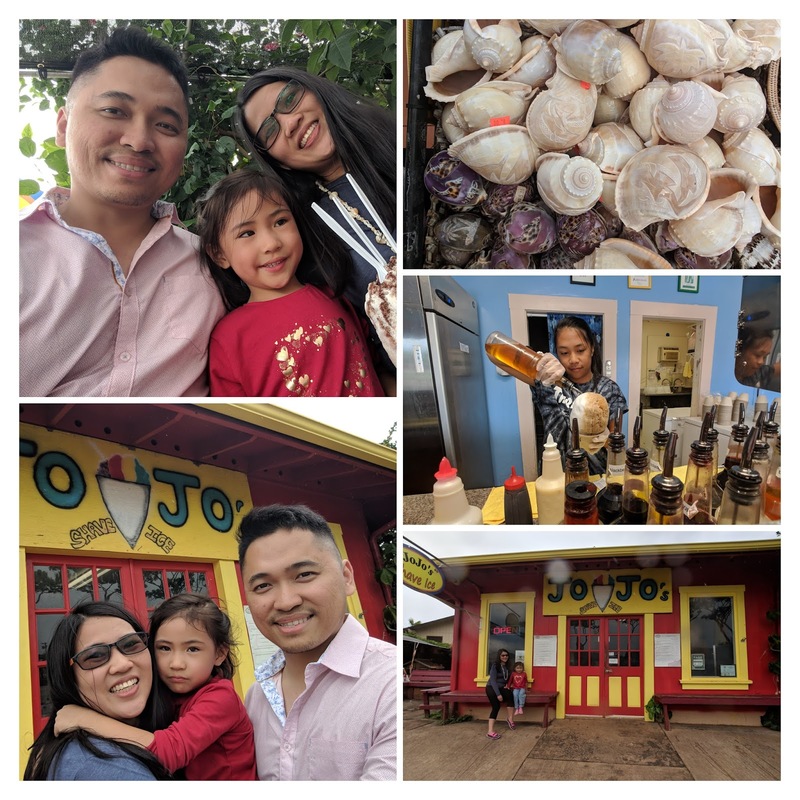 Jojo's was another good place to stop by and eat some shaved ice. After having butterscotch/chocolate/vanilla combination shaved ice with ice cream, we got carried away with a little too much souvenir shopping. 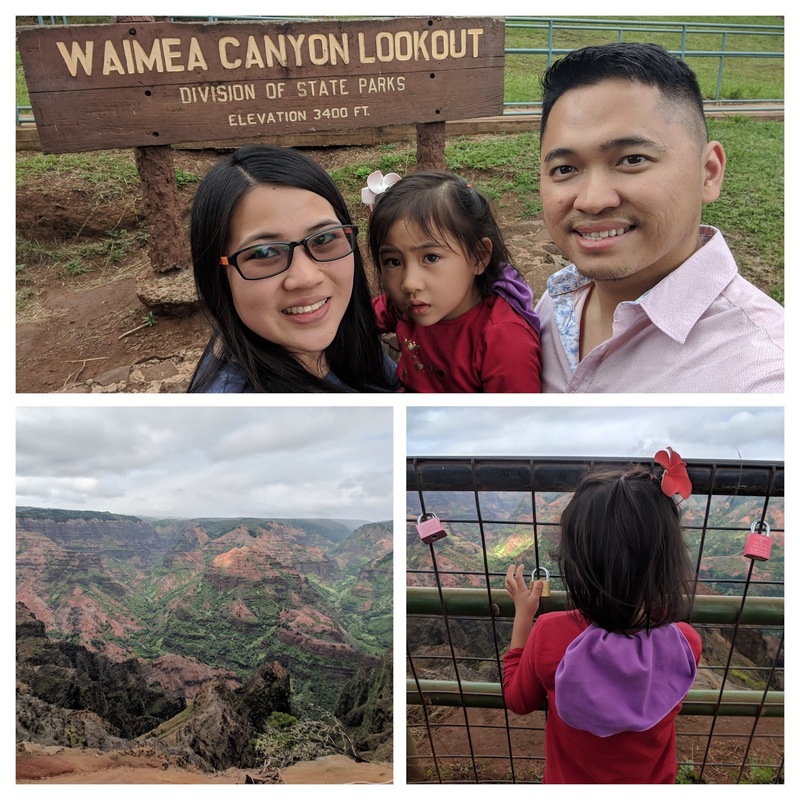 The Waimea Visitors Center recommended that we check out Route 550 first. 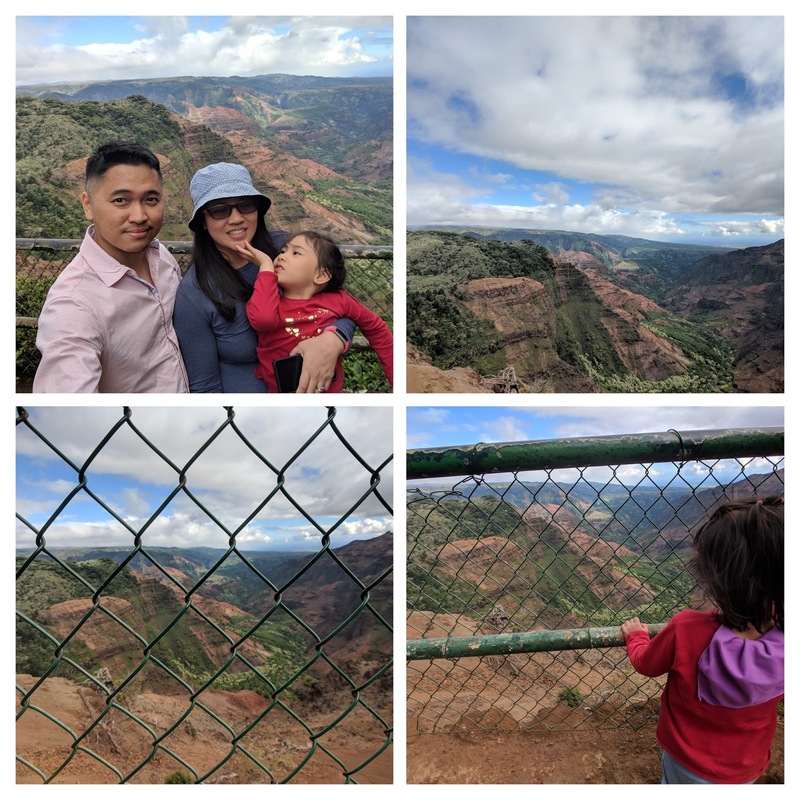 You have to get halfway through the route to get to the first stop which is the Waimea Canyon Lookout. 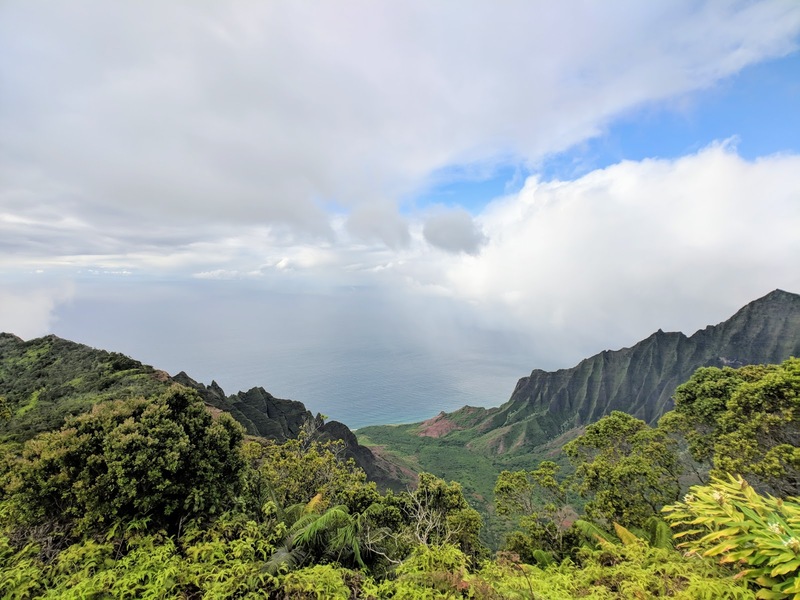 By the time we got there, everyone was already on food coma/nap mode so we stayed in the parked car for quite a bit to rest before climbing the few steps to the lookout. 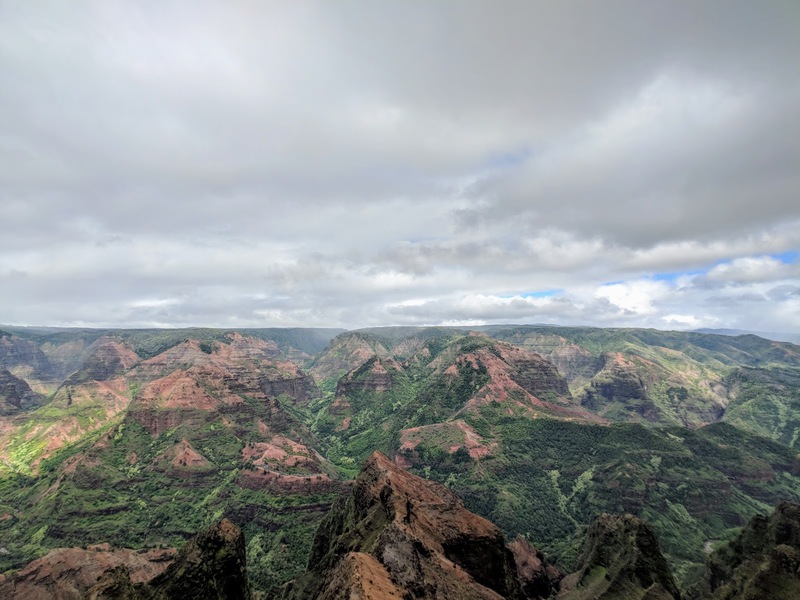 This canyon is considered as the Grand Canyon of the Pacific and appropriately so. There is like a constant state of fogginess the higher up we go. Apparently rain drizzles daily here. 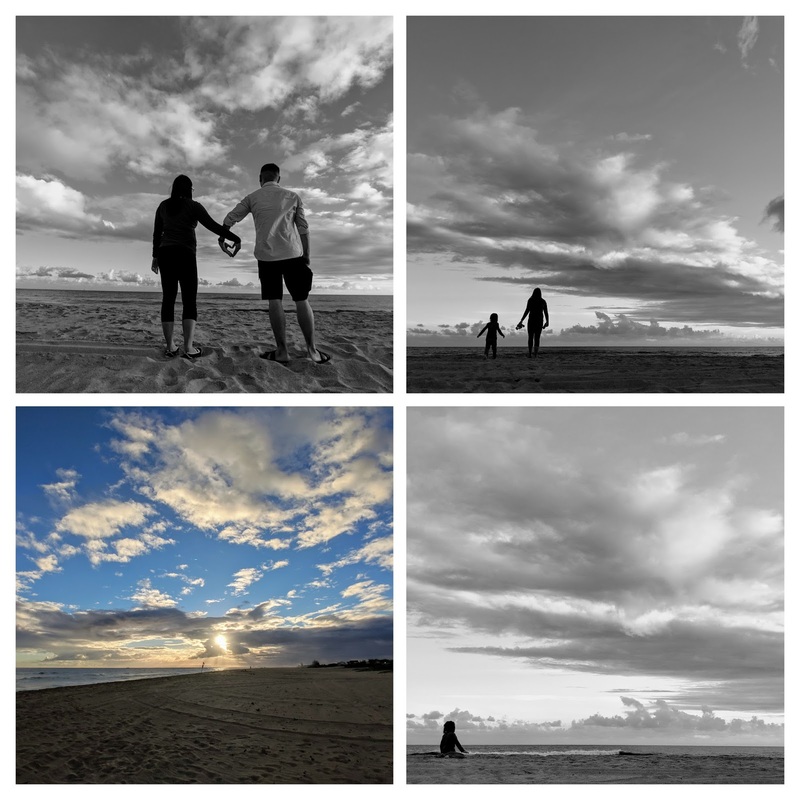 After all the lookouts (which kids aren't a fan of as I am realizing now), we checked out Kekaha Beach for a not-so-satisfying/cloudy view of the sunset. 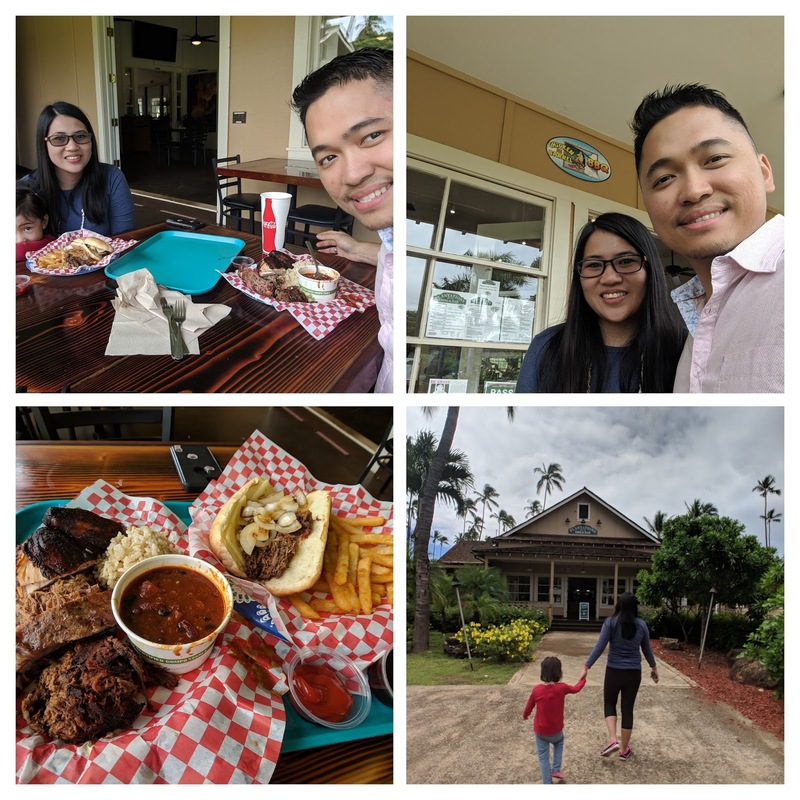 To cap off the day, we headed to seafood dinner at Port Allen Sunset Grill. Pop had fish curry while us girls had the seafood sampler plate with beurr blanc sauce. 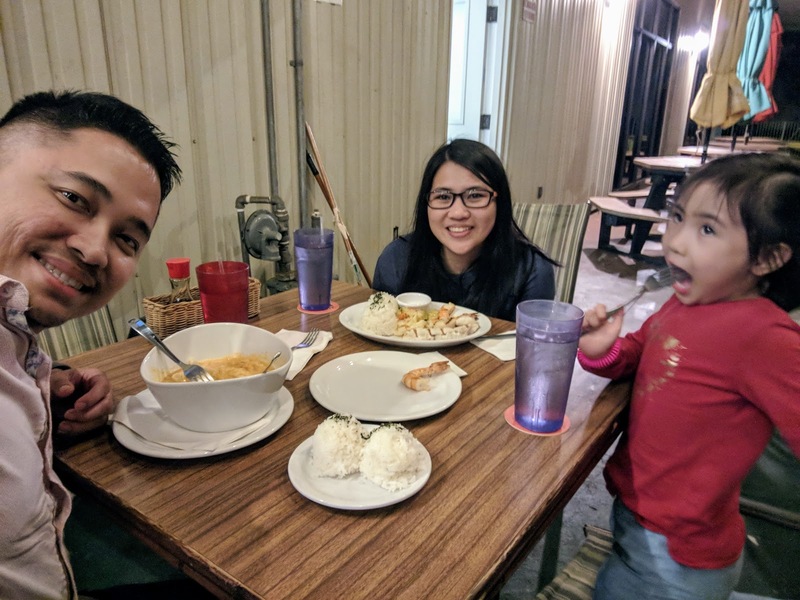 Lily only ate all the shrimp(and some rice) as she is not fond of creamy sauce, fish or scallops.